Hide deals from seller "Fast Lane Threads"
Limit 1 per person. Valid toward anything in the store including clothing, custom emroidery and lettering. Promotional value expires 60 days after purchase. Advertising solicitation prohibited. People display their school colors in a variety of ways, from sporting attractive jackets and hats to spray-painting their bodies for the season’s last football game. Show your spirit in style with this deal for 50% off apparel from Fast Lane Threads in Belvidere ($10 value). Since 1997, Fast Lane has been a staple of the local community, offering custom embroidery and lettering for everything from sports teams to churches and family reunions. If you can dream up a logo or custom lettering, the pros at Fast Lane Threads can help you make it a reality. They stock a variety of garments such as jackets, polos, T-shirts, hats and backpacks, and they can all be customized with professional embroidery or lettering. Fast Lane also keeps an impressive stock of ready-made spirit wear for local schools. The friendly, service-oriented staff strives to make sure each and every customer is happy. 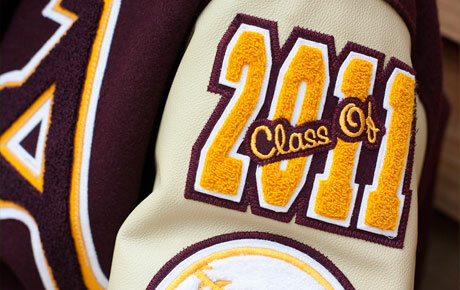 A custom clothing store offering embroidery and lettering for area schools, churches and more.